The first chapter of Nails covers "Antiquity" through the 1800s. 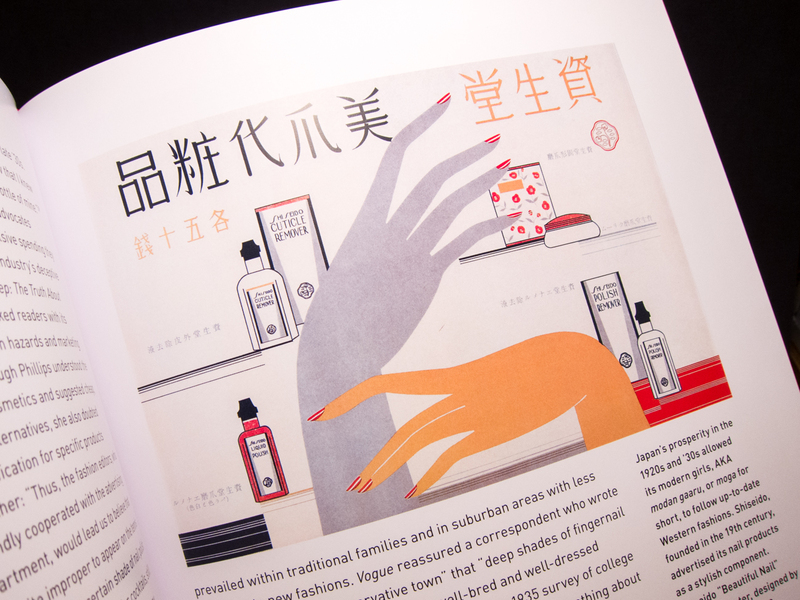 The rest of the book breaks up the 1900s into five chapters, ending with the modern age of nails and nail art. One of the best things about the book is that it is filled with tons of beautiful visuals. My favorites are the old nail polish advertisements, but the pages also include magazine covers, movie stills, artwork, historical photographs, and more. There's even a screenshot from All Lacquered Up! I knew that modern nail culture had a rich history, but I had no idea that it went so deep and reached so far. The book is well researched and put together, and it's truly amazing to read a comprehensive history of the passion that we all share. In addition to writing the book, Shapiro collaborated with OPI to create a companion polish for the book. Switchboard Starlet, a tribute to the first nail painting women, is a sheer, juicy watermelon shade. It's not sold in stores, but you can enter to win a bottle at the end of this post! Shapiro, the author, was kind enough to answer a few questions for me. Chalkboard Nails: Why were you interested in writing about the history of nails? Suzanne Shapiro: When I moved to New York City ten years ago, I was struck by the sheer number of nail salons; they’re on practically every block. I wondered when women began to care so deeply about nails as an aspect of beauty and found that no one had really explored the cultural significance of the manicure in great depth. When I began my own research, I quickly realized what a surprisingly rich topic it was—worthy of a graduate thesis and then eventually, a whole book. 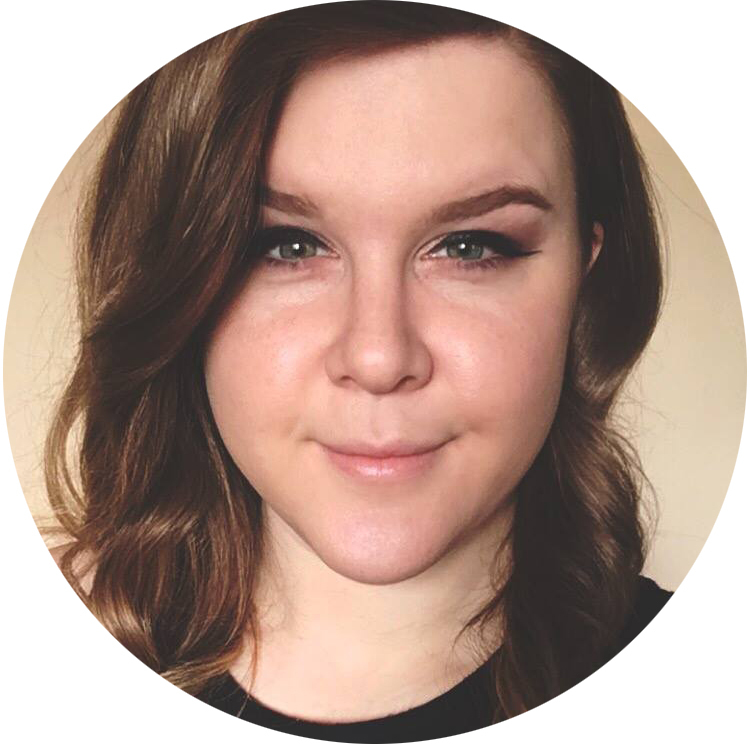 CN: How did you conduct your research for Nails: The Story of the Modern Manicure? SS: We’re in a golden age of digitization, and I loved how easy it was to discover some real gems. For example, plug “nails” into an American newspaper database, and you find that photo-decoupage nails were a fad in San Francisco in 1912. It’s just hard knowing when to stop searching! 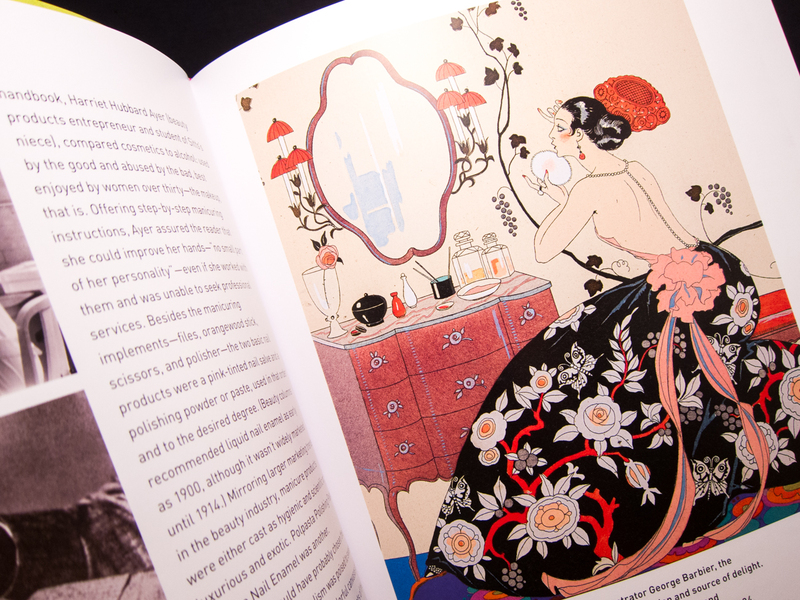 CN: I think everyone will agree that many of the visuals in this book are a wonderful glimpse into the past. How did you go about gathering all of the vintage advertisements, old photographs, movie stills, etc? Was it difficult to choose which ones to include? SS: Thank you! I found fantastic images in library special collections across the country, through the Condé Nast archives, on eBay, and sometimes quite serendipitously, flipping through popular magazines found at stoop sales and the like. The challenging part is gaining the proper permissions to reproduce your favorite images—some will always be unattainable for various reasons. CN: What surprised you the most when you were researching for this book? SS: It was always fun to stumble across surprisingly early instances of distinct styles (i.e. pierced nails in 1900!) and fascinating to learn how fiercely women have defended their love of nail polish, even in times of war and hardship. 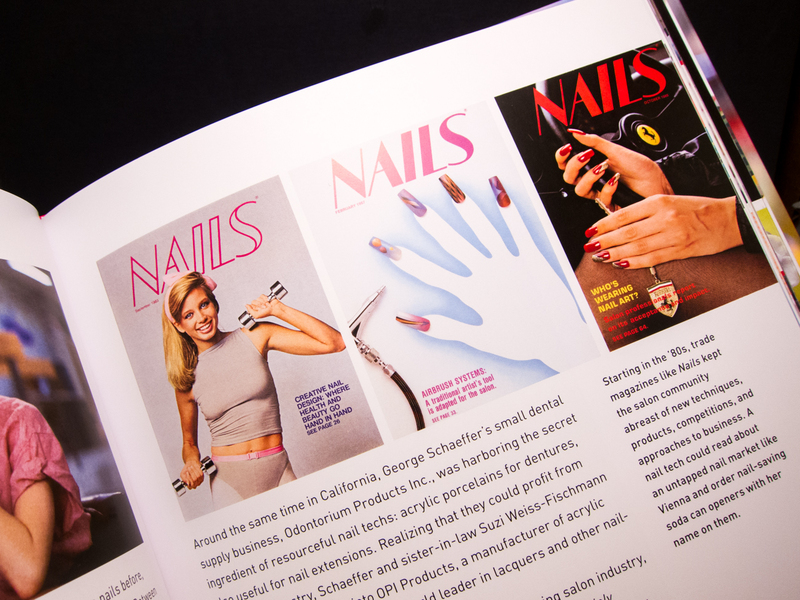 It was more rewarding than surprising, however, to learn about all the bold female entrepreneurs and innovators who contributed to nail culture through the decades: such stories really affirmed my notion that our love of nails has little to do with influence from men. CN: You have an all-encompassing view of where nails have been and where they are now. Where do you think they are going in the future? Do you think the popularity of nail art will decline at all? SS: I hope not! Whatever the future holds, I highly doubt that we’ll abandon the appealing, expressive, and accessible virtues of the manicure. And there are so many interesting developments from the nail care industry and new boutique brands that spring up each year—frankly, it can be hard for even the most devoted fans to keep up! Especially with modern technology—3-D printing, even—the possibilities of nail art keep expanding. It’s great that more and more people of all ages seem willing to try something bold and new. CN: Your OPI collaboration polish, Switchboard Starlet, is a tribute to the first generation of nail painting women. If you had to design a color to represent today's generation, what do you think it would look like? SS: Ha, great question! Women today are so open-minded when it comes to unconventional colors and finishes. Perhaps a matte mushroom-gray would encapsulate this taste for anything novel: the opposite of the bright, glossy color that’s more of a no-brainer to love! 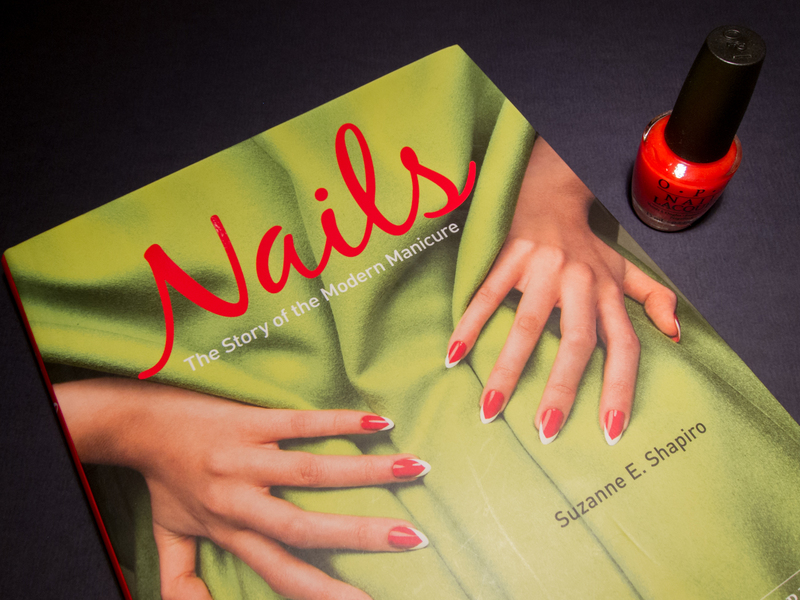 Nails: The Story of the Modern Manicure is available for purchase on Amazon.com and in major bookstores. Feeling lucky? Enter to win a bottle of OPI Switchboard Starlet! Open internationally. Giveaway ends July 07, 2014 at 12am EST. See Terms and Conditions on the Rafflecopter widget for additional details. I have this book myself and its an interesting nail book to read about. Great limited polish color too. I was sent a copy of this book for my birthday and was amazed at how much I enjoyed it. It's so well done. There was even a phot of a former friend in the pages. That dated me and also brought a smile to my face with memories! I love that color polish and hope that hey will make it available. I'd sure love to win a bottle ! PS: Thanks for making the entry so straight forward and simple. It's appreciated. I bought the book and devoured it the first day I had it! It's really well written and a great addition to my library :) Thanks for the opportunity to win the polish, it's lovely! This book is on my wishlist ^^!